Alpha Bank has consolidated its Executive Committee structure by naming Sergiu Oprescu as the General Manager of International Network and Nikos Salakas as the General Manager, Chief Legal and Governance Officer. Both positions will have a seat at Alpha Bank’s Executive Committee and will report directly to CEO Vassilis Psaltis. Sergiu Oprescu will oversee Alpha Bank’s subsidiaries in four countries as well as the international branches, strengthening visibility of international operations and ensuring alignment with core Group functions. He will retain his position as Executive President and Member of the Board of Directors of Alpha Bank Romania. Nikos Salakas will further upgrade and coordinate key functions that are critical in ensuring the Bank’s effective governance and control and will strengthen the Bank’s internal legal expertise in areas such as regulatory and capital markets matters. The role will cover the areas of Legal Services, Compliance, the Secretariat of the Board of Directors and Data Protection. Oprescu, 55, holds a MEng Graduate degree with concentration in Avionics from the Aeronautical Faculty, Politehnica University of Bucharest. He acquired a postgraduate degree in Banking from the University of Colorado and followed multiple executive programme studies at Harvard Business School, Stanford and London Business School. 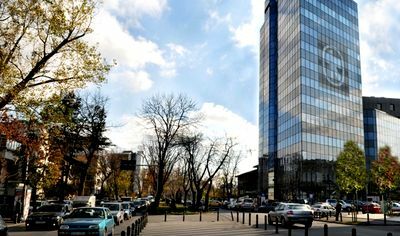 He joined Alpha Bank Romania in 1994 and held several senior positions before he was appointed Executive President in 2007. 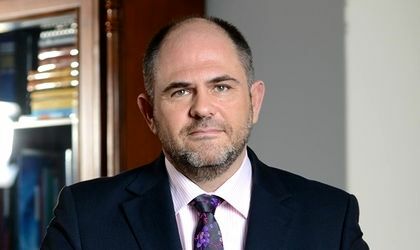 He served as Chairman of the Bucharest Stock Exchange from 2000 to 2006 and is currently President of the Board of Directors of the Romanian Association of Banks. Nikos Salakas, 46, has studied Law at the National and Kapodistrian University of Athens and holds a postgraduate degree (LL.M. in International Business Law) from the University College London. He is joining the Bank after having worked for Koutalidis Law Firm, where he was leading the Banking and Finance Department as of 2010. He has more than 20 years of experience in domestic and international Banking, Financing, Restructuring and Securities transactions and he is ranked amongst the leading Greek lawyers by the IFLR, Legal 500 and Chambers and Partners. He has supported Alpha Bank in regulatory, M&A, strategic and finance transactions since 1999.